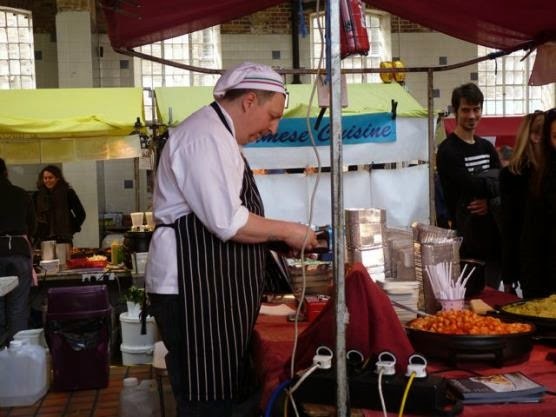 Adha, the King of Gnocchi, is back at Wonderland Ceramics on Saturday 17th May. Wonderland Ceramics is a nice, intimate venue, which is perfect for his great Italian food. This time it's a spring feast made up of seven courses, and it's BYOB too. This one will sell out - don't miss it. "Ladies & Gentlemen: Adha, the "King of Gnocchi," is back in East London! Quinto/Quarto is setting up in the brilliant Ceramic Studio, where Head Chef Adha has spoiled his guests many times before. Inspired by traditional Roman Trattorias they will again be sharing the true "art of dining" & "being together." Qunito Quarto will be offering their famous 7 course feast including "Meatballs 3 Ways" and his famous "Oxtail Gnocchi with Cocoa Powder Twist"!!!"